Since 2004 Manan Ahmed, a deeply informed Pakistani-American historian, has been casting his keen and always wry eye on the U.S.-Pakistani interaction on his blog, Chapati Mystery. 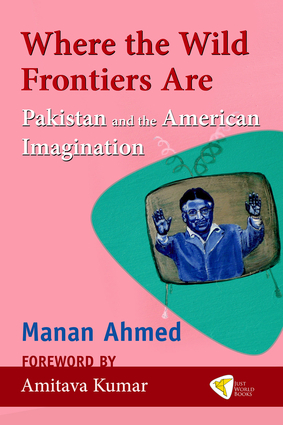 Where the Wild Frontiers Are is a collection of his blogged essays—a work that will forever change the way its American readers think about Pakistan. The book captures the failure of most members of the U.S. elite to successfully "imagine" the reality of people's lives and society in Pakistan. In it, Ahmed unsparingly criticizes most of the so-called "experts" who prognosticate about Pakistan and its region in the U.S. mainstream media. Manan Ahmed is a prominent Pakistani-American historian of South Asia. He is currently an assistant professor of history at Columbia University where he teaches courses on South Asia. Ahmed has been blogging at Chapati Mystery since 2004. His essays have appeared in The Nation, The Guardian, The National (UAE), and many online media sites.